When it comes to projectors, buying something cheaper may seem more convenient, but it is not better. Yes, you may find a typical projector at a “big box” chain for only $200, but it won’t compare to what we have to offer! The projectors we carry at TSV fall into two categories: “Prosumer” and Professional-grade. A common misconception is that our inventory of prosumer projectors are the same quality as the projectors you could buy for $200 at a big box store. Retail chains sell projectors with output ratings that are not measured in the same way as ours. 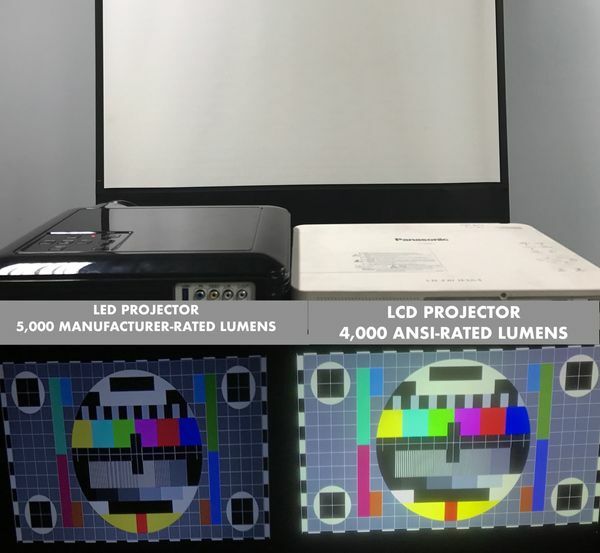 So it is not uncommon for a consumer projector, that may be rated at “5,000 lumens” by the manufacturer to actually be less than our entry-level 3,000-lumen ANSI-rated LCD projectors. This is a huge difference and can have an impact on your event, as you can see from the image. But, as you can see from the photo example, not all professional projectors are created equally. Now that the 8,000 and 12,000-lumen projectors exist, the 6,000 is becoming obsolete. Nowadays audiences expect the highest quality products and want to feel like they are seeing every detail of a picture or video. In the image, you can see how much brighter the display gets as we go from 6,000 to 12,000 lumens. 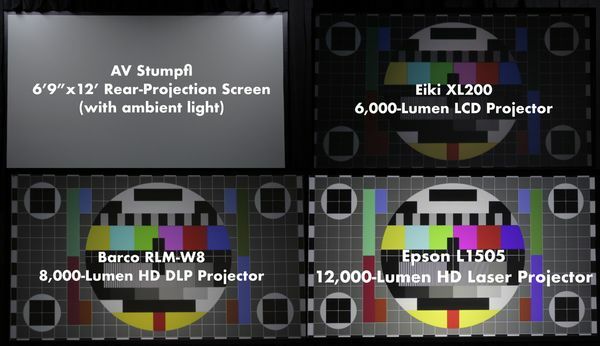 To see these projectors in action, take a look at our video comparison. Here at TSV we have quality projectors for reasonable prices. So whether you need a projector for a small reception or large corporate event, TSV has you covered. Contact us today to find the right projector for you!